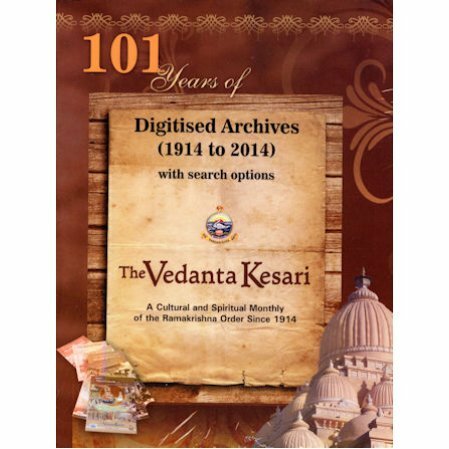 Digitised archives of the Vedanta Kesari for 101 years on DVD. The Vedanta Kesari has been the cultural and spiritual monthly magazine of the Ramakrishna Order since 1914. Acclaimed for its consistent, committed, and constant endeavor to uphold and spread India's eternal wisdom, the essential divinity of every individual and the corresponding unity of all creation, the magazine is well-known among discerning students of Ramakrishna-Vivekananda and Vedanta literature. 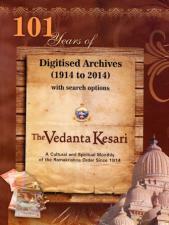 This digitised format of all the issues of the Vedanta Kesari from May 1914 to December 2014 allows one to: Rediscover each page in its original format; Navigate between years, titles and authors; Search articles and authors; Search text; Copy and paste text; and Print each page.